The oral rehabilitation is a specialty within dentistry that combines integrally areas prosthesis fixed, removable prosthesis, operative, occlusion and dental implant, which performs the diagnosis and appropriate treatment plan to the patient of high complexity that requires regain their health mouth through the most modern rehabilitation techniques. In turn, establishes close relationship with the other disciplines of dentistry, such as periodontics, endodontics and orthodontics. 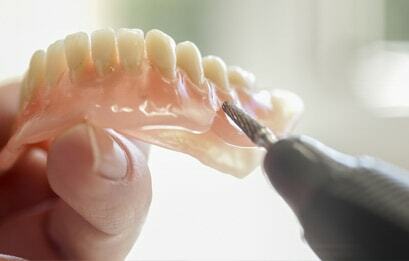 Through the current dentistry techniques is achieved by making such rehabilitations fixed prostheses on teeth or dental implants in more than 95% of patients, with the use of removable dentures that are always uncomfortable and often impossible to bear is avoided. 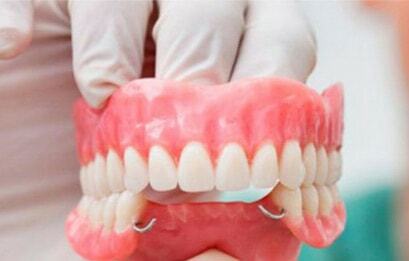 Dentures replace missing teeth and can be removed and reinserted in the mouth. If some people well takes them some time to become accustomed to and never feel exactly like the own teeth, current prostheses have a very natural look and better tolerated than in the past. There rehabilitations teeth on the gum or implants. Currently it is widely used in oral rehabilitation material called zirconium.